Japan has taken a tentative step toward dialogue with North Korea by deciding against tabling a United Nations resolution condemning the regime’s human rights record. It was the first time in more than a decade that Tokyo had not backed such a resolution. 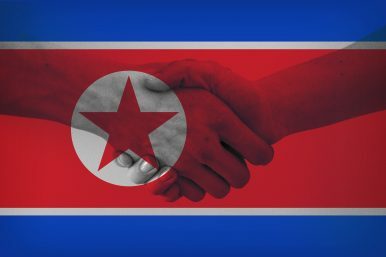 Japanese media cited government sources as saying the move was intended to signal Tokyo’s intention to resume bilateral talks with Pyongyang, noting that the North Korean regime was sensitive about human rights-related criticism. The previous motion – adopted by consensus in March 2018 at a session of the Human Rights Council in Geneva – served as a wide-ranging denunciation of the regime’s record. The resolution condemned “in the strongest terms the long-standing and ongoing systematic, widespread and gross human rights violations and other human rights abuses committed in and by” North Korea, including enforced disappearances and persecution on political, religious and gender grounds. The resolution also urged North Korea to dismantle political prison camps and to adopt the relevant recommendations from the 2014 report of the UN’s commission of inquiry. Later in the year, the UN General Assembly adopted a similar resolution – enraging the North Korean regime. In October 2018, too, North Korea argued that the motion’s sponsors were using the human rights issue as a pretext to ramp up pressure and scuttle dialogue, as reported by The Japan Times. This background helps explain why Tokyo’s shelving of the motion this year is seen as a possible opening toward bilateral talks. In particular, Tokyo places a high diplomatic priority on the fate of Japanese nationals abducted by North Korea during the 1970s and 1980s. Kim Jong Un’s father and the then-ruler, Kim Jong Il, admitted in 2002 that 13 Japanese citizens had previously been taken by North Korean special forces in what he described as “a reckless quest for glory.” Five were allowed to return to Japan that year and the regime claimed the others had died – but their relatives and the government doubt the official account. The Japanese government lists 17 citizens as abduction victims and it has suspicions about other people who also vanished. As previously outlined in The Diplomat, Tokyo has been pushing to secure the return of the other abductees. Prime Minister Shinzo Abe has repeatedly expressed his willingness to meet personally with the North Korean leader. Japan’s position is that the abduction issue must be satisfactorily resolved as one of its preconditions for normalizing bilateral relations with North Korea. Japanese Chief Cabinet Secretary Yoshihide Suga, who announced the decision not to jointly present the human rights motion this year, said there was no change in Tokyo’s stance of working with the international community to implement U.N. Security Council resolutions. It remains to be seen, however, whether it will play a role in smoothing the way to dialogue.